Warehouses stretch out across the Inland Empire, blanketing several cities including Moreno Valley. But some say that expansion has come at a cost. Far east of Los Angeles is a place that most Americans don't know exists, and yet they're all connected to it. Moreno Valley, located deep in the Inland Empire, is a major artery of commerce that's home to warehouse after warehouse. Goods from overseas make a layover here before they're shipped out to stores across the country or directly to your home. But it's also a home to political corruption. Here, the FBI paid out the largest bribe ever in a sting to catch a public official: $2.36 million. That person wasn't a senator or state lawmaker: he was a city councilman. 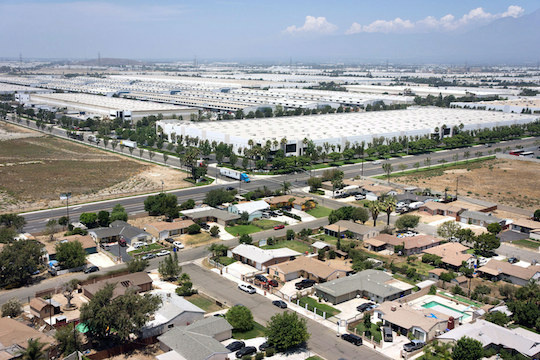 BuzzFeed reporter Jessica Garrison explains in her piece, "Warehouse Empire," that warehouses in the Inland Empire are an important part of the local economy but also a source of corruption and pollution that are eroding away at communities. How widespread is hazing in American culture?